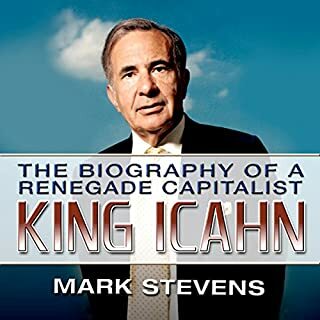 King Icahn is an excellently written and read book about one of the best capitalists of all time. The author's voice fits perfectly considering the book is about a New York street fighter come corporate raider. This book is a must for anyone interested in capitalists and all things capital related. Mr. Stevens is not sycophantic and seems unbiased. The book goes into significant detail regarding some of the bigger deals in Carl's life up to the publishing date. The events are set up nicely and are presented in the form of chapters that make it easy to follow. This review was written after my second time listening the audiobook. It isn't numbers heavy so you won't need to reference the physical book. If invest in companies you really should read or listen to this book. I like King Icahn because it tells the story and lets the reader draw their own conclusions. One of the biggest questions of the financial crisis has not been answered until now. 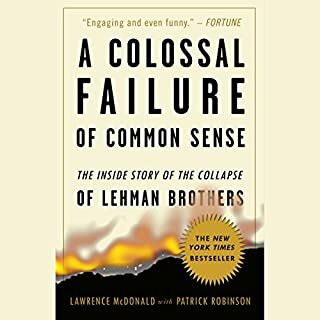 What happened at Lehman Brothers and why was it allowed to fail, with aftershocks that rocked the global economy? In this news-making, often astonishing book, a former Lehman Brothers Vice President gives us the straight answers - right from the belly of the beast. Excellent book with some tips on how to hustle! Would you listen to A Colossal Failure of Common Sense again? Why? I am writing this review after my second time listening to the audio book. My first listen was about 6 months ago. I consider this book an entertaining and educational experience. The detail about some of the big trades that Larry and his group undertook while at Lehman. Larry's experiences trying to get into Wall Street were well worth the listen on those merits alone. The attitude of the author comes through clearly. It was easy to follow along and the actor's voice was easy on the ears. This book is more about the author's experiences. Lehman serves as a back drop until the final chapters of the book. This book gives you the downfall of Lehman but Larry's biography would do well in motivational seminars. This book is great for investing nuts and financial history buffs. What did you love best about The Great Depression? The narrative was engaging and it was an important slice of history. 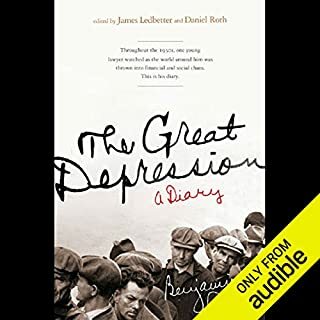 What other book might you compare The Great Depression to and why? It somewhat reminds me of "When Money Dies" by Adam Ferguson. You get snapshots during a dire financial times. This book should be a must read for everyone. The story is from a middle classed professional's standpoint. You realize how tough times were when a lawyer has to eschew going to the movie theater because he hasn't been paid in months and the bills keep piling up.This book puts the recent financial crisis in perspective via the pen of Benjamin Roth, the man who lived it. It would be advisable to check out the physical book to follow along. The book references stock and commodity prices at various diary entry points to help the reader gauge the mood of main street and wall-street. Benjamin Roth is a Republican, this book is composed of his diary entries, so his views are expressed through that prism. It is an excellent book and I have no complaints. For the past few decades, Americans have spent billions of dollars on personal finance products. As salaries have stagnated and companies have cut back on benefits, we've taken matters into our own hands, embracing the can-do attitude that if we're smart enough, we can overcome even daunting financial obstacles. But that's not true. 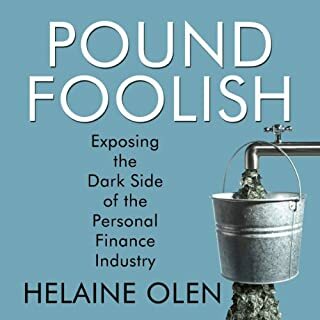 In this meticulously reported and shocking audiobook, journalist and former financial columnist Helaine Olen goes behind the curtain of the personal finance industry to expose the myths, contradictions, and outright lies it has perpetuated. Would you consider the audio edition of Pound Foolish to be better than the print version? This book was a great listen. The author spoke clearly and at a good pace. After listening I didn't feel like I needed to read the print version to pick up on anything I might have missed. I liked the amount of detail uncovered. The story flowed well and was organized into themes: television, books, targeting woman, real-estate hustlers, and the issue with financial literacy. After reading other reviews I was a bit concerned that the author's views would be preached to me. The first and last chapters contained that but the meat was just fine. What does Lyn Landon bring to the story that you wouldn’t experience if you just read the book? I like her reading style, it was easy to follow. I think Ms. Olen did a fine job. I feel like she laid it on thick with the intentional or unintentional insinuation that the consumers of the personal finance complex are innocent (in many cases greed overcame them as well). However, Ms. Olen's book softened my hardline stance against those who remain at the bottom of the income scale. I gave the book 5 stars because I wanted to get from this book exactly what I received. A hard nosed look into the personal finance culture. This author's bias is clearly against the complex but she does not ram it into your eardrums, except for the first and last chapter. To Ms. Olen's credit, she lets the listener's know where she stands and attempts to be evenhanded overall. This could be a movie! 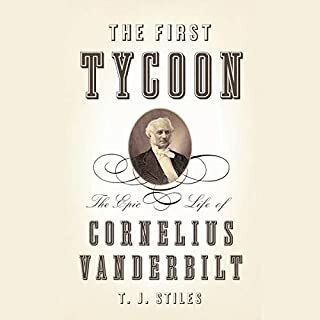 What made the experience of listening to The First Tycoon the most enjoyable? As a fan of business/economic/history books this one provided everything I wanted. Conrelius was one of the most single minded folks I've learned about so far. This book puts the reader on the front lines of the deals and serves as a great guide to starting and running a business. This book delves into Cornelius' personal life as well but I was more concerned with the business aspects and this book delivered. 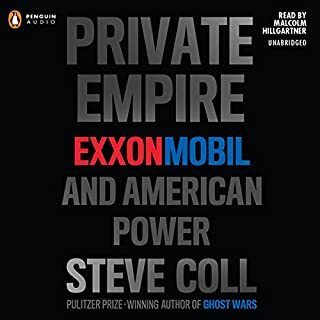 If you could sum up Private Empire in three words, what would they be? The in-depth look at running an oil company. The shear detail was impressive. Furthermore, the geopolitical aspects were explained well. For example, I had no idea of how much assistance Exxon received from the government on international matters. The look into the risk metrics used in the oil industry and the mind numbing lawsuits give me a greater respect for Exxon and "privately run" oil companies in general. I hope to find more books similar to this one.